The idea for Rustique started over 2 years ago as a tribute to my husband. He is all about the outdoors; Mountains, wildlife and hunting are his greatest passion. I wanted to design a collection that would include some of the common rustic themes that he enjoyed but in a way that was pleasing to me. I chose some of his favorite things: Deer, Antlers and Quaking Aspens, and mixed in some of my favorite geometric elements. The images and motifs are rustic in nature but the contemporary design and vibrant color palette are the perfect combination. I like to say that Rustique is a little bit Rustic and a little bit Chic. The masculinity of the Rustic sides shows through in Embossed, Adirondack, and Sharktooth. We feel the femininity of the Chic side with the florals peppered about in Yes Deer and Crosscut. 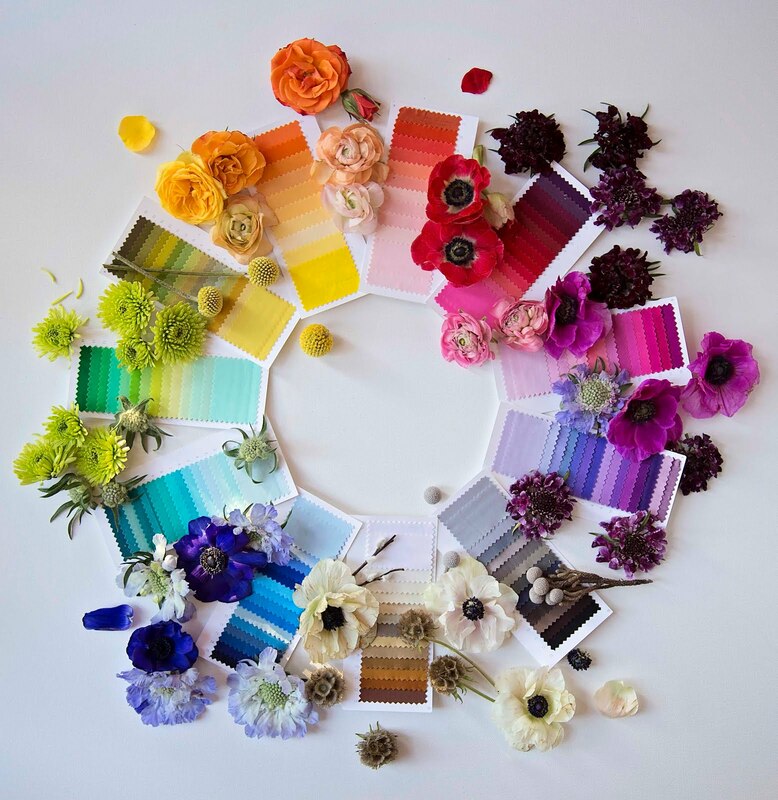 Of course the color palettes differentiate the rustic and chic as well. One of my favorite prints is Park City. I like to play around with different design elements twisting and turning them to create a secondary image. The "Snowflakes" are the same deer as in the "Trophy" print. Using a hexagon shape gives this print a modern feel, while the touch of wood grain lends itself to the outdoors. Trophy is my second favorite print. I enjoyed taking one element and mixing it with another. Changing the antlers into branches and adding the leaves and blossoms was one of my favorite creations. I love the tiny bits of color in the blossoms on each print. What's your favorite print? Maybe my twist on the Chevron or leaves? Rustique fits in perfectly with the Adirondack/Aztec trend in design right now. Everywhere you look there's modern twists on these rustic designs. 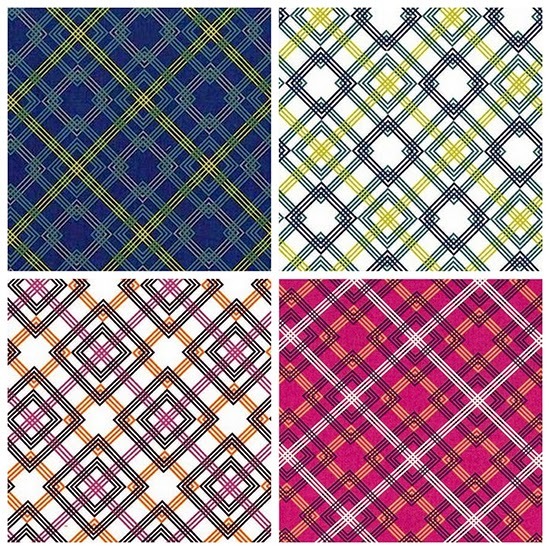 Several of my new quilt patterns were influenced by this design trend. My version of a medallion quilt is Jackson Hole. The quilt is put together in sections and can easily be broken down into a block-of-the-month/week. 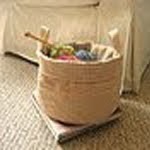 Tuacahn was inspired by an aztec rug I once saw. 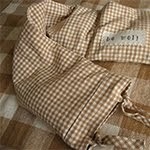 I've been saving the idea for the perfect fabric and I finally got my chance to make it with Rustique. Once I realized how easy this design would be to piece I got started and didn't stop until it was finished. Scottsdale is a direct interpretation of a common aztec design and pieces together in a quick and easy way. I wanted to carry the deer theme into a quilt with Big Game and use fusible applique to create a simple and graphic design. For more information, please visit my blog, Crazy Old Ladies. 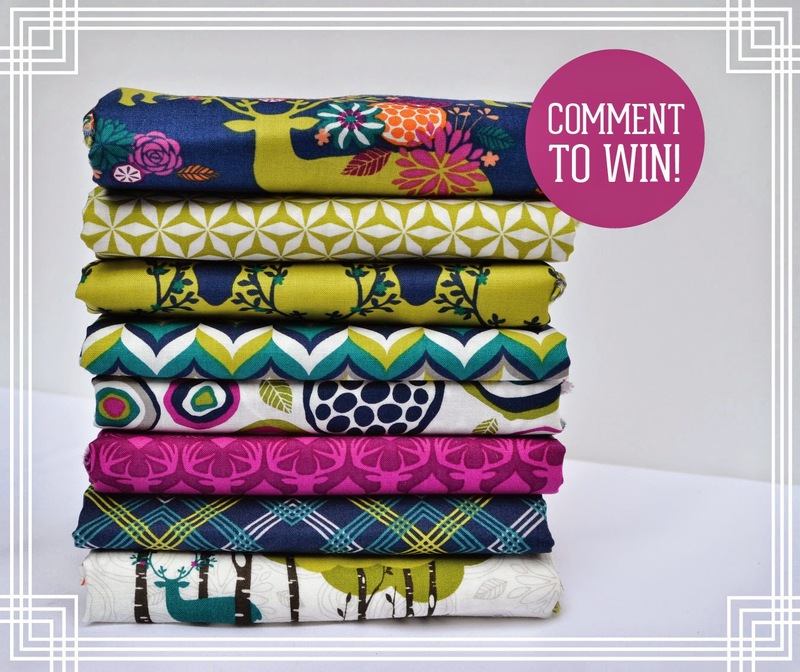 Please tell us which pattern is your favorite and we'll randomly pick one lucky winner who will receive the bundle of Rustique pictured below! "I love them all but would start with Scottsdale. 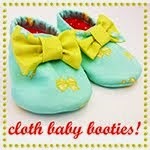 The fabric line is awesome!" 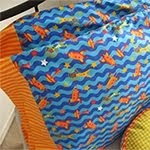 Wow, I really like this fabric line and the quilts you created. I really like the Jackson Hole pattern! I like Tuacahn, although it looks scary to me! You will have to meet me somewhere and hold my hand! Very creative fabric!! I love the Jackson Hole. The deer print is super! Love this collection. The colors are spot on and my favorite pattern is Big Game. It's perfection!! My favorite is the magenta colored with the deer on it. But they are all bright cheerful and outstanding. Scottsdale is my favorite, if I have to choose. This fabric line is amazing! Love this collection! I already have the Big Game pattern. I love this collection! 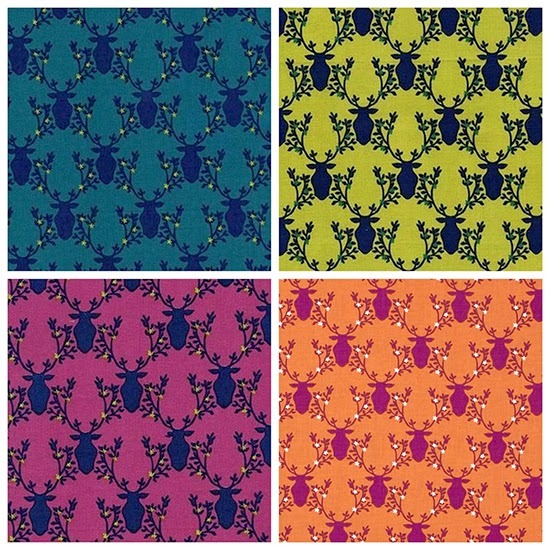 Beautiful, vibrant colors meet interesting and fun patterns! Great colors, lively prints. Will make someone a bright happy quilt! I love them all but would start with Scottsdale. The fabric line is awesome! I love this fabric! 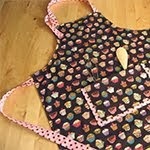 Would look great in the quilt I am making...hand pieced....need more fabric! My favorite is Scottsdale. Thank you for a chance to win! I love the big game pattern! We are a family of hunters and this would be perfect to incorporate beautiful fabrics (not just camo) into the decor of deer heads and antlers everywhere! This fabric line is beautiful also. Love these colors together!!!! I am head over heels in love with this line. I've always wanted to make an "outdoorsy" quilt that didn't look like I was trying to decorate in "Early Outdoor Life" theme. I think Scottsdale might be my favorite pattern! I love all the blues and purples on the Scottsdale quilt!! This is a STUNNING line of fabric, I am salivating over it and cannot locate it here in western Canada. 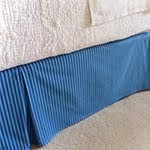 The pattern that is show cased beside the fabric is gorgeous, Emily does an incredible job! Absolutely STUNNING fabric by Emily! She does incredible work, would love it if I could find this line in western Canada! 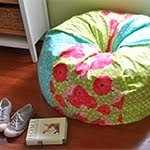 I also love the pattern you have showcased with the fabric! LOVE the entire line, especially the purple colorway. 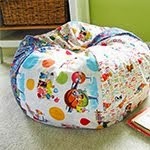 The quilt patterns are awesome and the Big Game fits perfectly with the fabrics!! 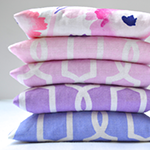 Love the entire fabric collection, especially in the purple colorway. 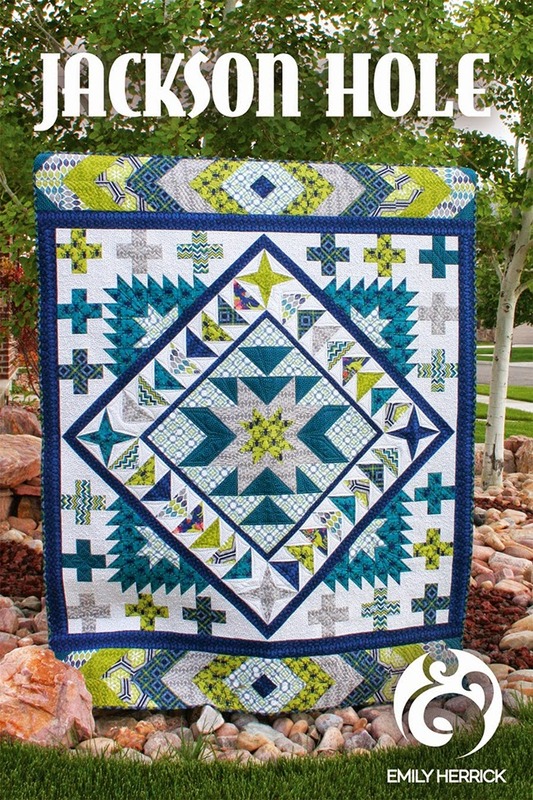 The big game quilt pattern is perfect for this line! 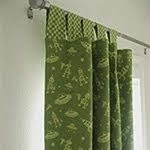 LOVE the Big Game for this fabric line! Perfect! Scottsdale!! This pattern showcases these beautiful fabrics so well. 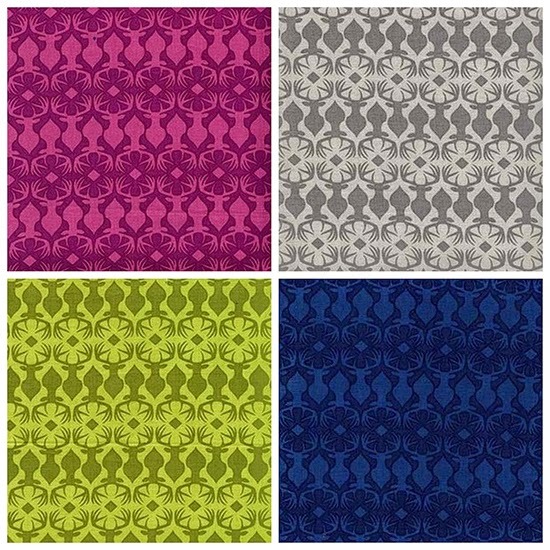 Love the Jackson Hole pattern-and what to say about the fabric collection?- Be still my heart. Thanks for doing this giveaway!! 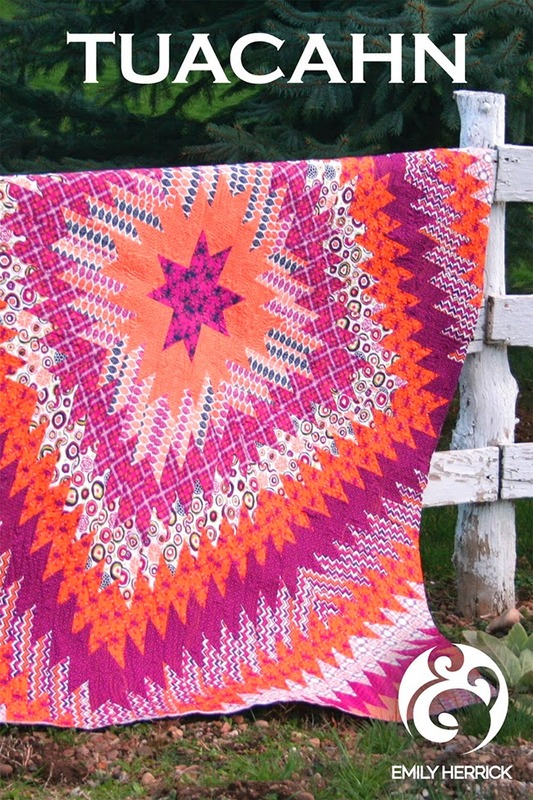 I can't stopping looking at the bright Tuachan quilt AND the Scottscale quilt. LOVE LOVE LOVE them. Those fabrics are awesome! 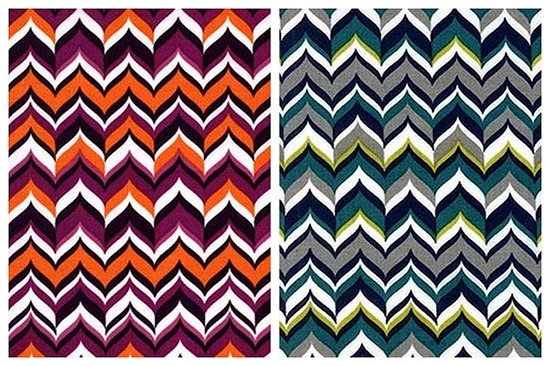 Love this fabric collection! 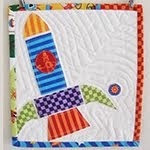 My sons would Love the Big Game quilt as shown! Tuachan is my favorite, but the others are great, too. Wonderful fabric collection. Thanks for the chance to win. Tuachan is my favorite pattern. I absolutely love the entire collection but I think Adirondack is my favorite stand alone print. I cannot decide between Tuacahn or Scottsdale.... both are great and the fabric is FABULOUS!!! The Scottsdale pattern is beautiful. This collection is one of my favorites. Thanks!! I like Tuacahn pattern. Love the colors of the fabrics. I like Rustique. This fabric looks like it will be wonderful to play with. I like Tuacahn pattern. It looks great! Ooh,I love the Yes Deer. The whole line is wonderful. I really love your Scottsdale pattern! I am really into that Aztec design! Thanks for a chance to win this beautiful bundle! Such rich colors. Especially the greens. That Yes Deer print is pretty fantastic. 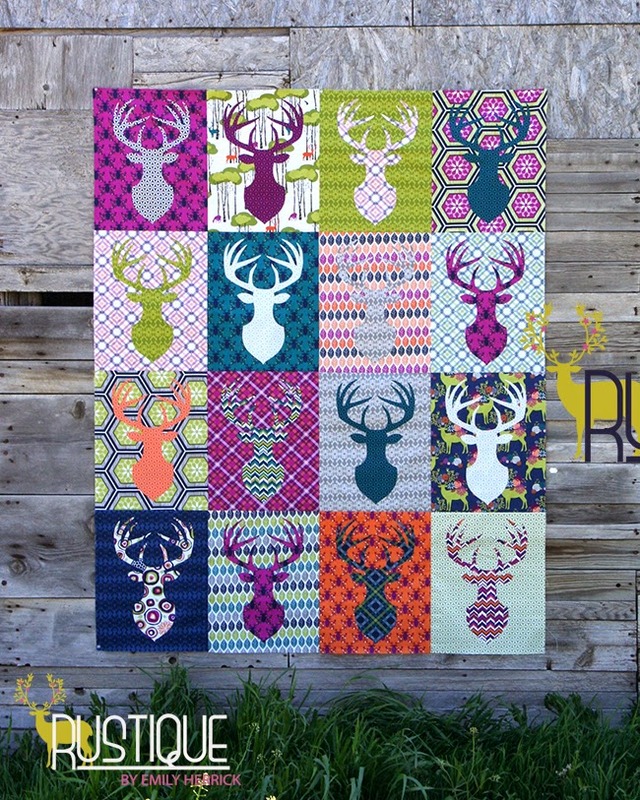 My daughter and I both love the Big Game quilt and the Yes Deer print. And perfect colors for fall! I love how bright & bold the Tuacahn pattern is! Great fabrics! I was just scrolling through thinking these would be great for fussy cutting hexies and boom! Hexies! Anyway, all your patterns are lovely but I especially like Jackson Hole. Well done! In love with this collection!!!! Tauchan's my favourite I think. I really like Jackson Hole! It's so beautiful! Adirondack is definitely my favorite! 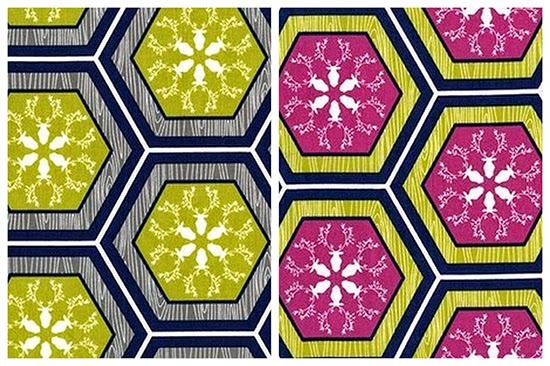 Love the Scottsdale pattern! How many fat quarters does it call for? The fabrics are so pretty and I love the Jackson Hole pattern. Scottsdale. I love the collection. 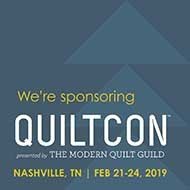 Your quilts and your fabrics are stunning! Thanks for sharing the wonderful story of how you created the designs. It's hard to choose, but my favorite is Scottsdale. It really showcases the fabrics and keeps the eye moving. I like so many of them, but I think I would choose Scottsdale as my favorite! thank you - I love this line of fabric! I like the Tuacahn but was really a tough decision because they are all very beautiful. I love this whole line! 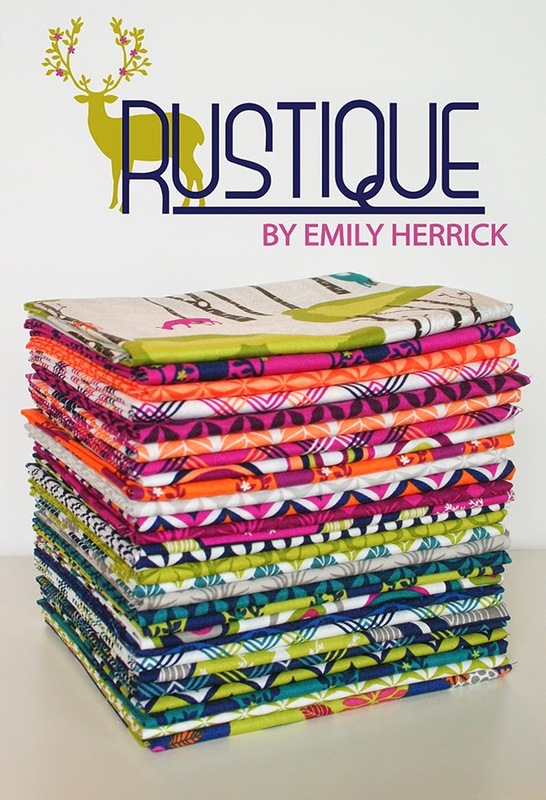 The Rustique pattern (those antlers?!) is definitely my favorite pattern. 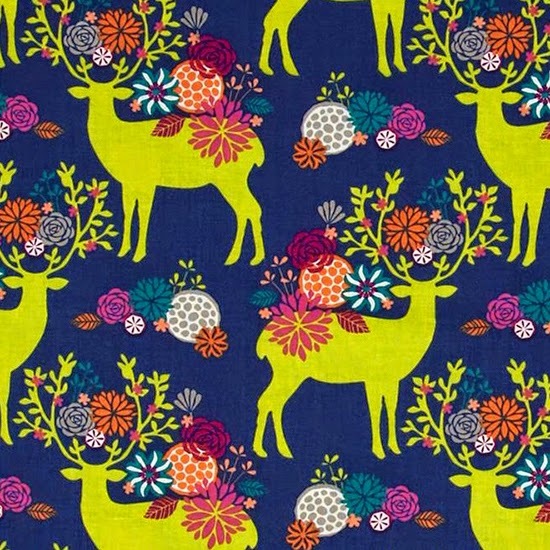 My favorite quilt design is Jackson Hole and I love the deer fabric. That's a really hard question, I like Jackson Hole but I am also really digging all of the color in Tuacahn. 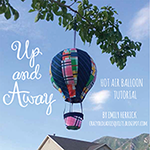 You created a beautiful fabric line and some really great quilt patterns! 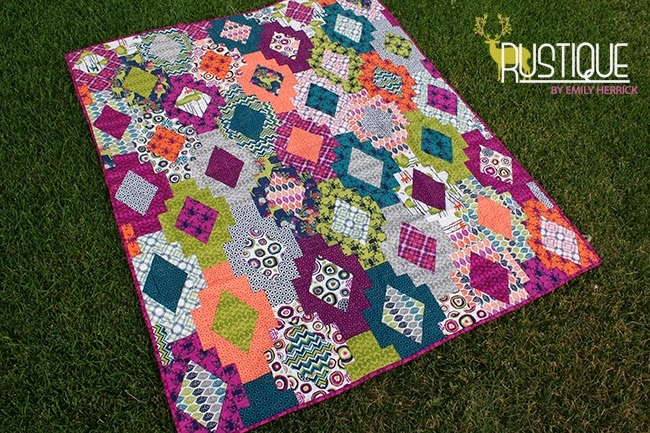 Charm Plus looks like a great pattern to use, and the fabric bundle is gorgeous. Thanks for the giveaway! I definitely like Big Game the best -- in fact, I bought it and am half-way through my lap quilt! Jackson Hole is my favorite! Love love love these fabrics. I know the perfect people that need a quilt out of this stat! I really like Big Game. How fun and I love the Prints and colors in this collection. Thanks for the chance to win. I really like the Big Game pattern! and I love this collection - love the prints and the colors. This is such a great fabric line. I'm torn between Embossed and Leaf Press. Thanks for the giveaway. The Taucahn pattern is my favorite, but the Breaking Dawn is also close to the top. Favorite fabric pattern is leaf press. I like the Tuacahn and Scottsdale patterns. The fabrics are great, the colors are great, the quilts are impressive. 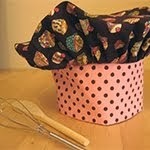 I love your line of fabric and the pattern are great! I think if I HAD to choose that I would go with Scottsdale. Wow, your quilts are stunning! My son is a deer farmer and this line would be perfect for a quilt for him!!! 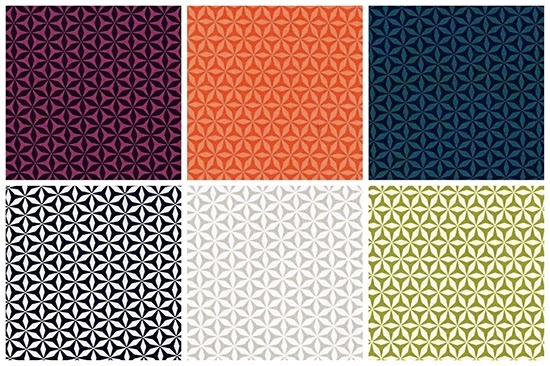 Hard to pick a favorite, but I'm going to say I'd love to do the applique quilt! The first time I saw these patterns. I loved Jackson Hole the best. Bug I've changed my mind. Now Scottsdale is my favorite. Either way, u LOVE this line! Awesome colors. 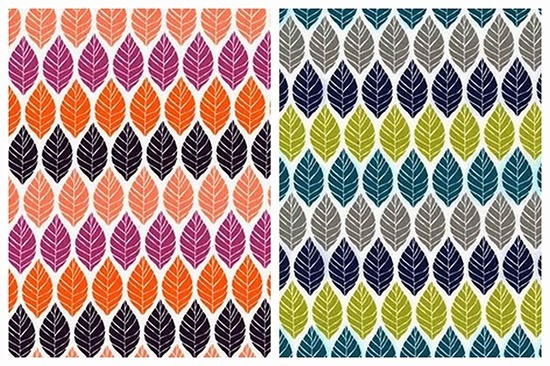 I the the Big game quilt but my favorite print has got to be the leaf press print! Adorable!!! Wow! 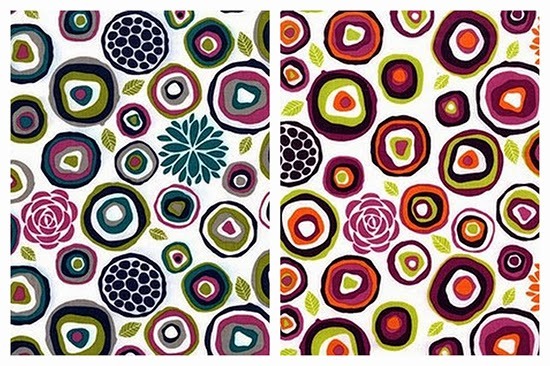 These fabrics are so wonderful! Jackson Hole is my favorite. Love these. I can't decide: feathering, leaf press or open season. I love the big game pattern! With all the different coordinating prints, it looks amazing! 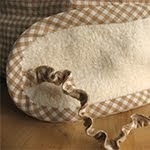 I love these fabrics, they are fantastic!! I love the way Tuacahn pops out! But I also really like the Big Game Deer Silhouettes. Fabulous!